Surprise your family with a fun weekend breakfast: an egg in a heart. This twist on the classic is made with a heart shaped cookie cutter. Enjoying this protein-packed breakfast together is a sweet way to start your day. 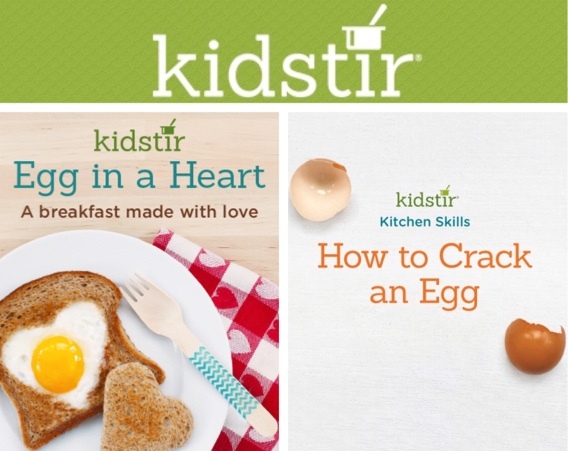 Watch Finn, our 10-year-old kitchen expert, share the right way to crack an egg. Hint: hit an egg shell against a bowl not too hard, not too light, but just right! 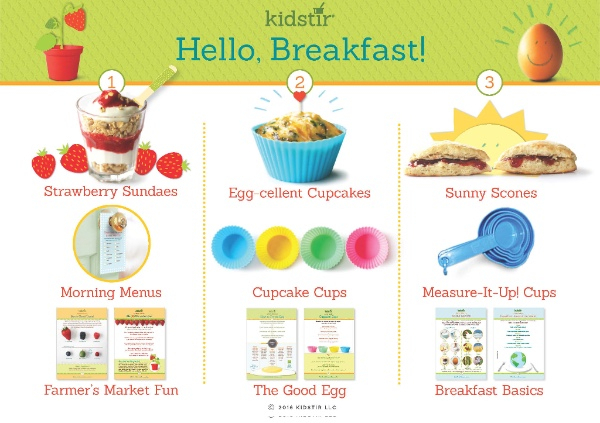 Wake Up with Hello, Breakfast! Our May kits are heading over to subscribers! Rise ‘n shine and get excited about a healthy and delicious morning. Not a subscriber yet? Join and use the code MOMSDAY for your Kidstir Mother’s Day gift of $5 off any new subscription. Or gift a subscription to a family with an amazing mom today! Next post: Kids: Happy Mom’s Day!